We’re a “happy go lucky” South African couple who have relocated to the Caribbean and have been in the charter industry for many years. 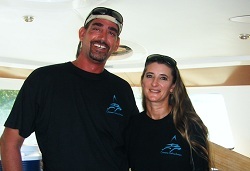 We are both very passionate about sailing, food and absolutely love the ocean ! We “love” our jobs and it show’s !!! We enjoy meeting people from all over the world. Wayne has a RYA offshore Yacht Master ticket and has done many Trans-Atlantic crossings. He is also a qualified Padi Dive Master & has a S.T.C.W 95 certificate. Wayne has been a keen sailor since the young age of 9 years old. 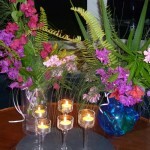 Lara is a professional chef/hostess, culinary school Durban, South Africa & qualified Open Water Diver. She has a S.T.C.W 95 certificate and loves been creative in the kitchen ! You will not go home hungry. “Cool Cat” will glide across the Turquoise Caribbean waters. You can absorb Antigua’s natural beauty & picturesque views as we sail past many beautiful bays & lovely homes & resorts. We anchor for a relaxing swim or snorkel while your hosts prepare a delicious Caribbean BBQ lunch. After lunch we set sail again to the clear waters of Cades Reef where the marine life and coral are abundant. 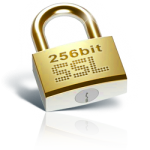 Our last stop will be at one of Antiguas 365 beaches. We sail back to Jolly harbour while you admire a spectacular sunset & listen to the sounds of water lapping up against the hull. Once we leave the dock our sails are hoisted and so your journey begins ! We sail to Cades Reef to sample the incredible fish and coral life. With water so clear, you would think your in your very own swimming pool. We will show you “Tim’s wreck”. A sailboat that sank a few years ago and is always a fascinating sight to see. After your freshly grilled lunch there’s plenty of time to relax, snorkel or just float around in the ocean before we set sail to one of Antigua’s 365 beaches for more snorkeling, swimming or a stroll on the beach. 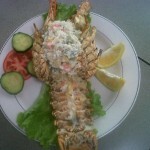 Seaside Dining – Antigua Style. Your elegance cruise starts with a gentle sail aboard Antigua’s most luxurious catamaran. We sail to beautiful white sandy beaches and calm bays where we drop the anchor for an enjoyable relaxing snorkel or swim. Your delicious Caribbean lunch will be prepared on board when you’re ready. This “Special Dinner Cruise” departs from Jolly Harbour for a Caribbean evening experience on the water sailing along the beautiful coast line of Antigua. This is a 5 star experience. We will pamper you as you settle in to watch a beautiful Caribbean sunset aboard “Cool Cat”. Your hosts will prepare a delicious 3-course feast! This is truly a unique experience. Fine dining at it’s best whilst on-board “Cool Cat”. 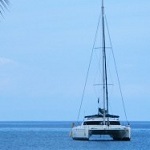 Cool Cat is a beautiful 48 ft Belize Catamaran. She has all the bell’s & whistles of luxury comfortable sailing. All cabins have air-conditioning, Cool Cat will sail you to any Island of your destination, you choose your itinerary, book your tickets & we will pick you up at the dock to take you on your most adventurous sailing experience ever. 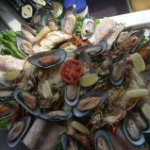 We offer 5 star luxury charters for you & your family. For more information please send Wayne & Lara an email. Barbuda seems to be one of those Caribbean Islands that remains so undeveloped. Walking along the 11 mile beach it almost seems deserted at times. Barbuda’s endless white and pink sand beaches are left to the peaceful wanderings of those lucky enough to be there. 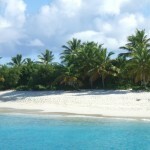 Barbuda is very relaxed, beach-combing, snorkeling, diving, or simply soaking up the sun and taking in its peace & quiet. Points of interest on Barbuda are the Frigate Bird Sanctuary, the truly noteworthy pink and white sand beaches, there are numerous shipwrecks and beautiful reefs. The island is home to the luxurious K-Club, Coco Point Lodge and Hotel Palmetto resorts, as well as to a number of other hotels and comfortable guest houses. “Cool Cat “ will leave Jolly Harbour and sail to Barbuda. There we will anchor for the 2 nights, enjoying the brilliance of what we call “a Caribbean Milky-way”. Catamaran Sailing Antigua now offers you the choice of our exciting new “Surf n Turf tours & cruises” Always wanted to spend a day out at sea & do an Island tour ? Well now you can. You will be picked up in our luxury air conditioned vehicle and delivered to your own private Catamaran for the day to spend 4 breath taking hours on a sailing cruise. After lunch you will be whisked away in our shuttle,fully air-conditioned luxury vehicle on a 3 hour Island tour admiring Antigua’s beauty from land. 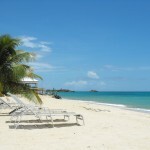 Drive through the Rain Forest and visit some of the most picturesque beaches Antigua has to offer. Proposals or getting married onboard ?